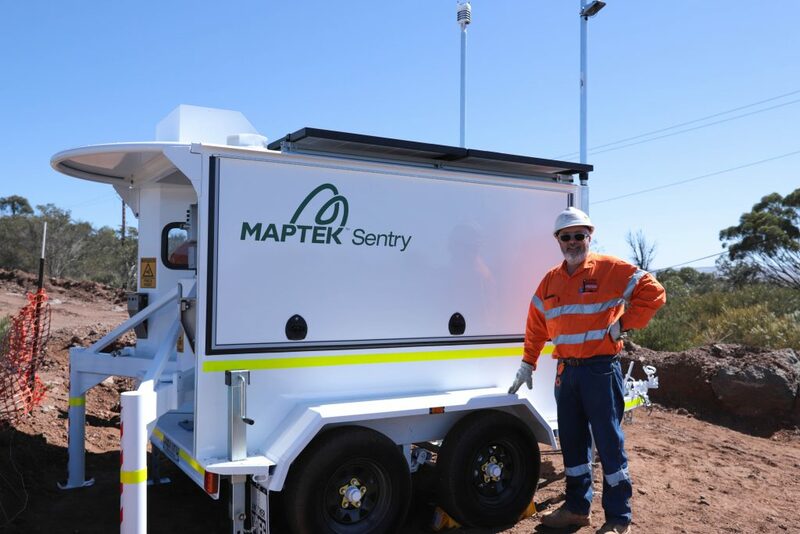 Maptek has shipped the latest mobile monitoring system some 17,000 km from its Adelaide manufacturing base to showcase at Slope Stability from 10-12 April. We caught up with James Howarth, Maptek Mine Measurement Product Manager, ahead of the event. A group of survey and monitoring SMEs from Maptek global regions will be on hand at Slope Stability. We’ll also be conducting a workshop on Thursday April 12 at 15:00 on exploiting the benefits of the LIDAR approach. LIDAR technology is relatively new to the area of geotechnical monitoring and I’d recommend anyone attending Slope Stability to come along to our talks to learn more. Visit Maptek at Booths 38-39 and see the Maptek Sentry system in the outdoor display area. Hear Bruce Hutchison speak about “Managing brittle rock movements at the Kanmantoo Copper Mine” on Wednesday, April 11 in Session 2 of the Pit Slope Monitoring and Processing of Geotechnical Data stream in Rooms 3 and 4.